The Petaluma Health Care District’s (PHCD) HeartSafe Community Program was developed to strengthen the community’s response to sudden cardiac emergencies through CPR certification, strategically placing and maintaining AEDs, and promoting heart health education. HeartSafe Community thrives as a partnership initiative with other local organizations, helping ensure the community is rescue ready in the event of a sudden cardiac emergency and ultimately saving lives. What great timing for you and your kids to get involved in learning life savings procedures. It just so happens that the PHCD is going to have a booth this Saturday, April 25th at the Butter & Egg Days Parade. HealthQuest, a recognized American Heart Association CPR/AED & First Aid training center, will be teaching Hands-Only CPR. Don’t put this off any longer – learn these life saving skills and enjoy the parade too. 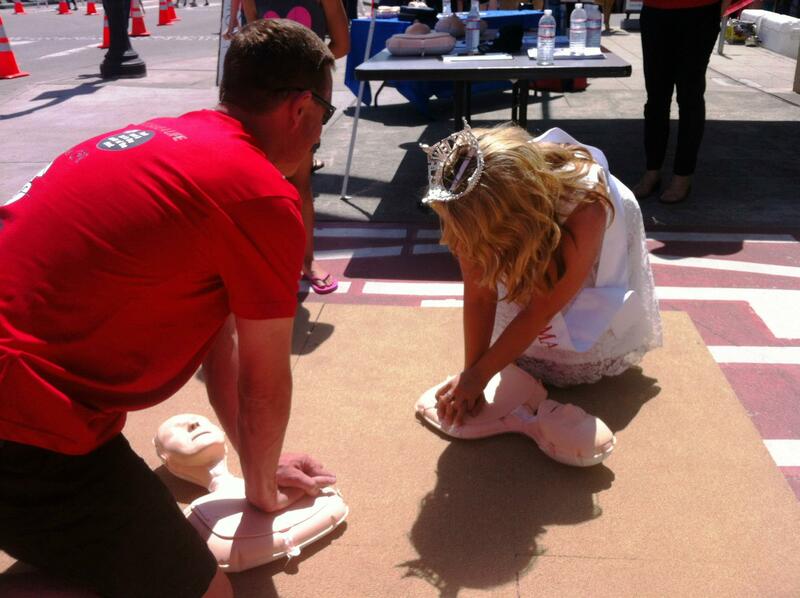 Last year a Petaluma resident learned hands only CPR at a Butter & Eggs Day Parade booth and later saved the life of a family member on Christmas day using this skill. Stayed tuned for more information about this great program and about this story – that you heard from us first. We will be updating this post as we learn more.